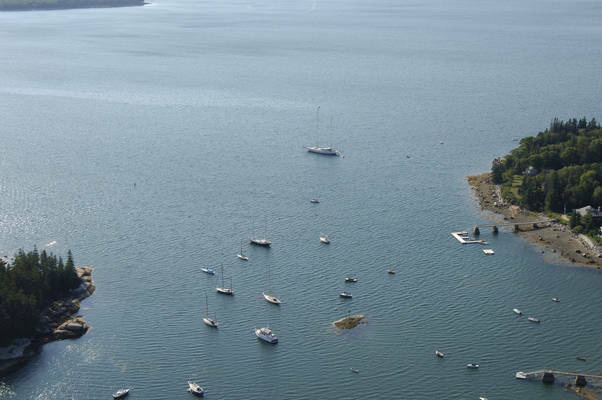 The image above is a view from the west looking east over the northern entrance to Center Harbor at the north end of Chatto Island (the other entrance to the south of Chatto Island is quite shoal). Off to the right (south) is Chatto Island, which, while to the left (north) are the towns of Haven and Brooklin. 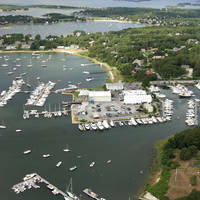 There are two marine facilities in Center Harbor. 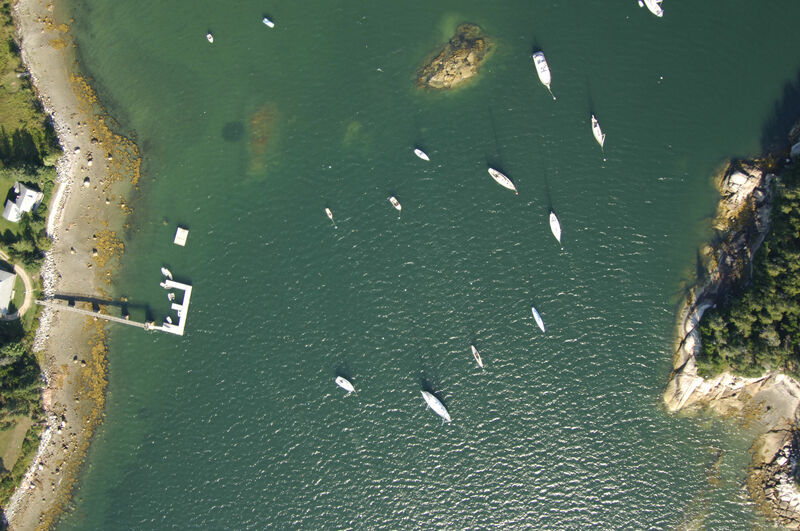 One is the Center Harbor Yacht Club, which does not advertise the availability of transient slips, but may have space available to members of reciprocating yacht clubs. The second facility is the Brooklin Boatyard, which does have a lift for haul-out and related repairs, but does not advertise space for transient guests. 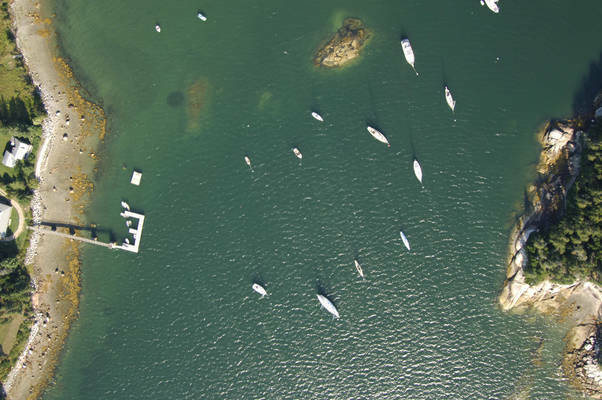 If you are more inclined to tie up offshore for the night, check or radio ashore to either marina for information on the moorings here. 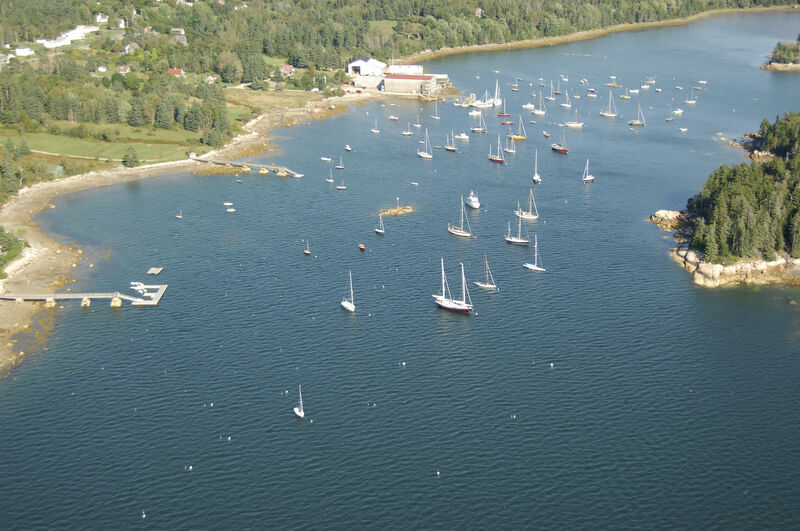 Center Harbor is approached from the west via a passage through Eggemoggin Reach. Torrey Island and a series of rock outcroppings make arrival from the south highly inadvisable. 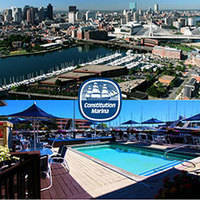 Well discus the approach to Center Harbor from both the north. If you are arriving from the north on Eggemoggin Reach, first set a course for the area near waypoint N44 15.551 W68 36.357. This should put you just north of red nun buoy 12, which marks the location of nasty, and potentially dangerous, Torrey Ledge. Be sure to give red nun buoy 12 some room as you pass. Once you are about .1 mile east of red nun buoy 12, set an approximate course of 091 degrees magnetic for about .7 mile to intercept red nun buoy 2 at the entry into Center Harbor northwest of Chatto Island. Green daybeacon 3 is the last aid to navigation into the harbor. From green daybeacon 3, the harbor continues back to the east for about .2 mile before shallowing rapidly to two-foot depths. No reviews yet! 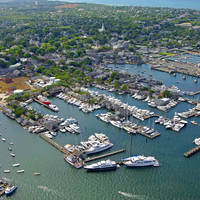 Be the first to write a review of Center Harbor Inlet.